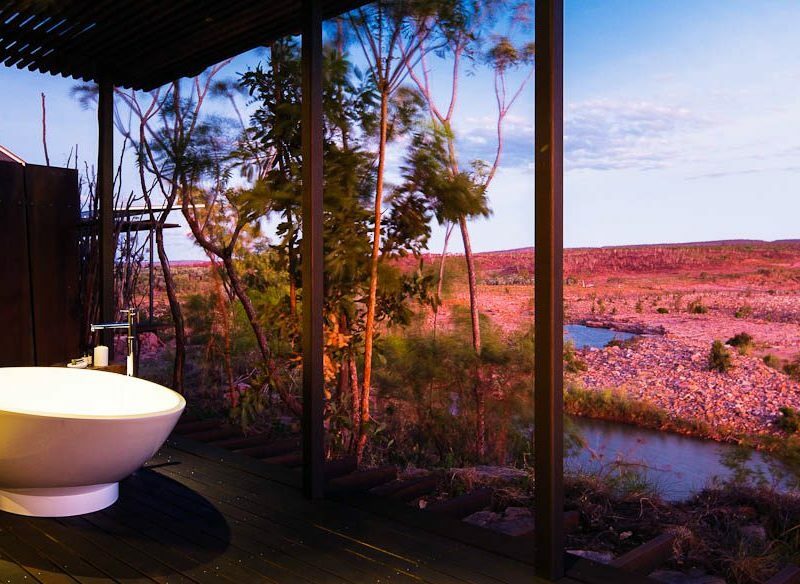 Survey the Kimberley from your eggshell bath at El Questro - just like Ewan McGregor did. 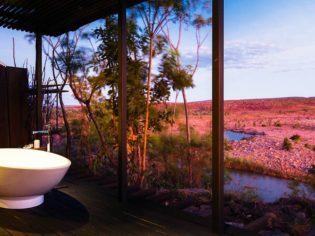 El Questro’s three Cliffside Retreats provide a new take on exploring the diverse Kimberley landscape… from your bath. Soak away the day – red dirt and all – in the outdoor eggshell balcony tub, and enjoy the dramatic landscape of the Chamberlain Gorge to yourself. Heck, you’re in the middle of almost one million acres of rugged landscape and 100 kilometres from the nearest town – you pretty much are by yourself (except for the attentive staff, talented chef and 17 other lucky guests). If you don’t feel like a bath, you can always take a rinse under the outdoor shower. Or you know, just use the indoor one. It’s really up to you. Actor Ewan McGregor, who tested out the outdoor bath when he stayed here earlier in the year, described El Questro as “an amazing place”. We can’t imagine why. And exploring the Kimberley here is intimate and personalised with tailor-made experiences. Feel like hiking the rocky terrain on foot or flying to a remote waterhole by helicopter? No problem. Or prefer to spend the day soaking in the Zebedee Thermal Springs? Be our guest. But at sunset, curling up under an ancient boab tree with a book… that’s the stuff fairytales are made of… albeit untamed Australian outback fairytales. Where El Questro Wilderness Park, near Kununurra (110 kilometres west by road, 58 kilometres on the Great Northern Highway towards Wyndham, with the remainder on the Gibb River Road). Cost From $2649 per night, all-inclusive.